Visually impressive providing an enhanced colour quality from you existing TV. Can also be used for other projects around the house. Achieve an optimal viewing experience. Uses up a spare USB port on your TV. Having seen the TV’s you can buy with the lights at the back I have always wondered what the big deal was. Not having realised before that this feature is used to help combat eye strain, whilst making the TV’s contrast appear better, blacks appearing more black etc – Now knowing this I feel that I have robbed myself of an experience I should have been having years ago. So, when I came across this simple LED strip from Vanksy I thought it was worth a shot. Honestly, at the time I thought it would be a great addition to my TV stand giving it a futuristic look, thinking nothing of the viewing benefits that were about to be received. The LED strip itself is approximately 37 inches long not including the USB cable that is attached at the end. The size of this strip was perfect for the 42 inch TV currently being used. The strip itself has a self adhesive backing which uses 3M adhesive and is very easily affixed to the back of your TV. Make sure it is clean and dust free. Then, simply plug in the USB port into your TV and the lights come on. 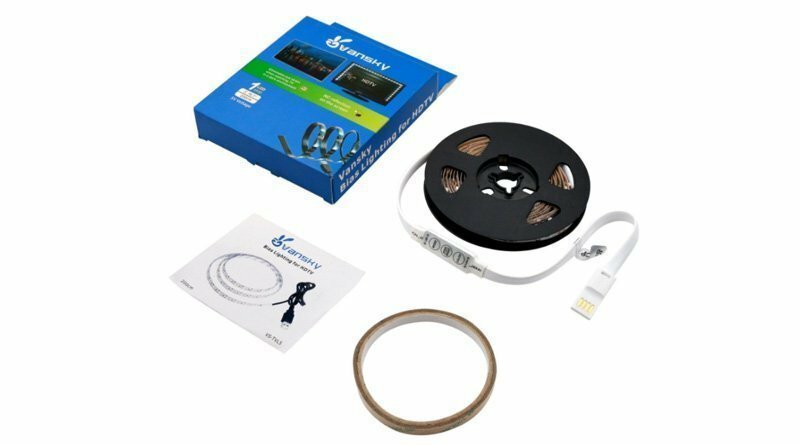 The Vansky 2M LED TV lighting Strip is powered by the USB port on your TV so whilst in use will remain lit the whole time. To be honest, with up to 100,000 lighting hours it will probably outlast your TV. It is worth noting that once your TV is set to standby or turned off, the light strip will automatically turn itself off. 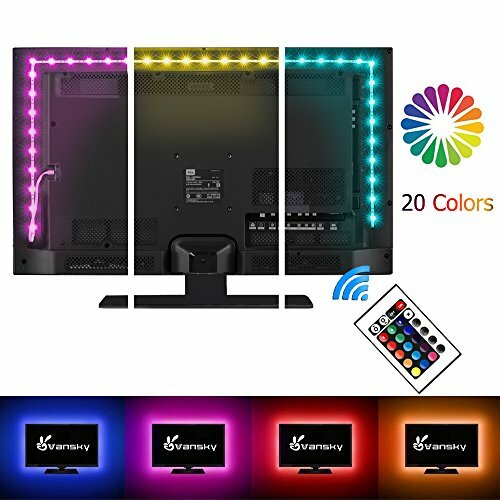 Whilst in use, it has been noticed that the quality of the picture on my TV appears enhanced – this I would say is due to blacks appearing darker because of the contrast from the back light created by the LED strip. As a glasses wearer I have also noticed less “flashes” from the TV since having this setup and I can only put it down to having a light constantly on eradicating the sudden changes in light from the TV itself. This is a really simple solution to a lot of problems and makes my entertainment unit look even better than before. 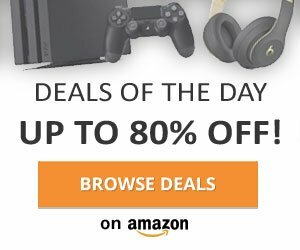 I am really impressed and will be purchasing some more at some point for various computer monitors.